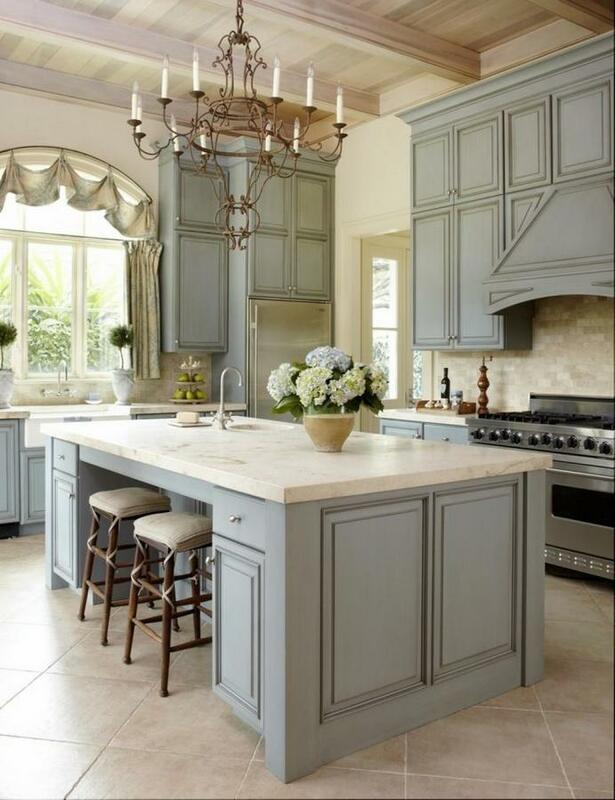 Most of the time, gray is considered as a color that is quite dull, lifeless and cold. 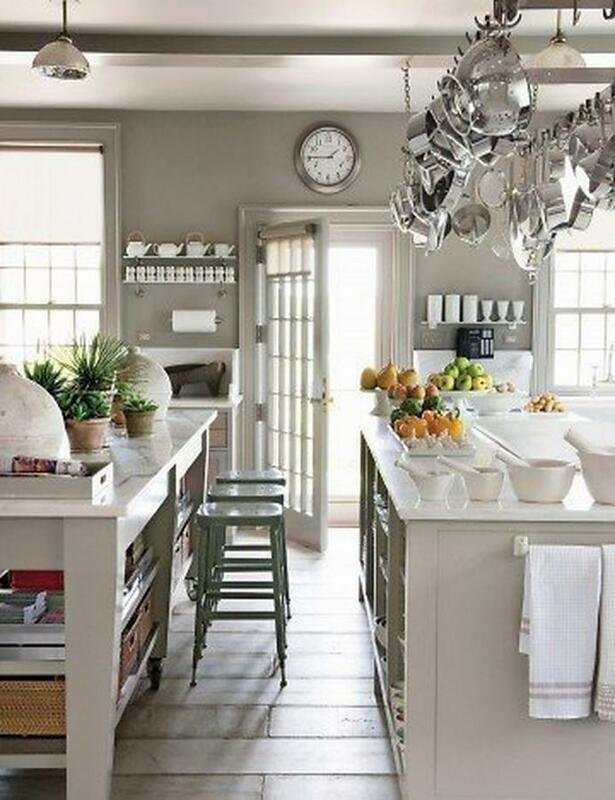 But in fact, gray is a very solid and stable neutral shade, that brings calm and tranquil appeal and works perfect in some parts of your home where you prefer clear, formal and subdued ambiance, for example – the kitchen. 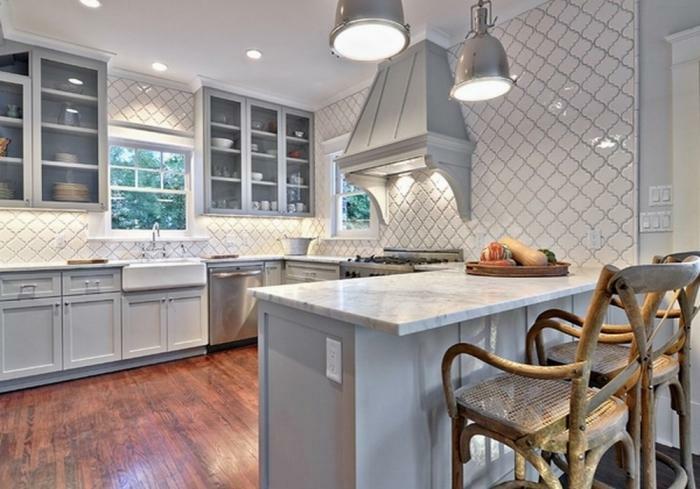 Gray is an excellent choice for your kitchen since it looks amazing on the walls, on the cabinets, the back splash and of course, the kitchen utilities. 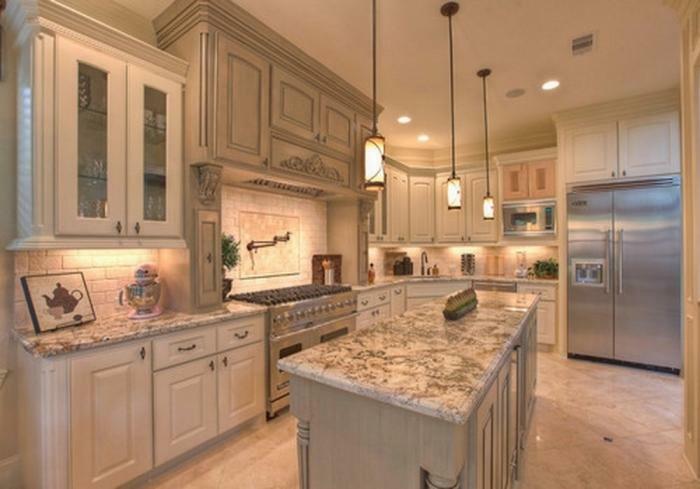 It will provide a clean, airy look, with a certain doze of sophistication and elegance. 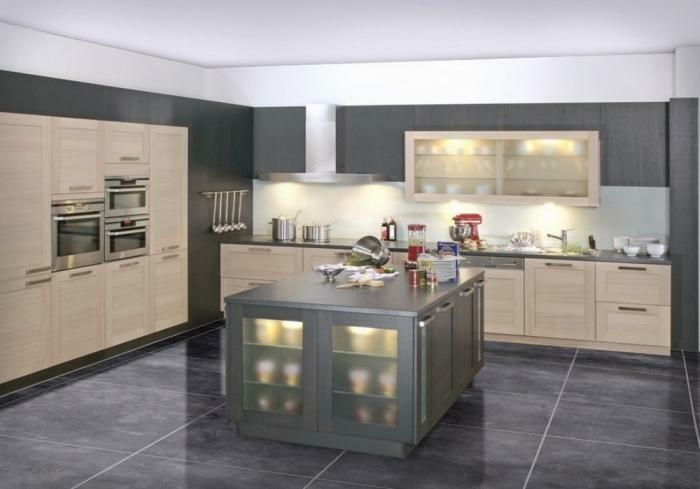 Gray pairs astonishingly good with modern contemporary kitchen designs, but looks just as good in traditional kitchen settings. 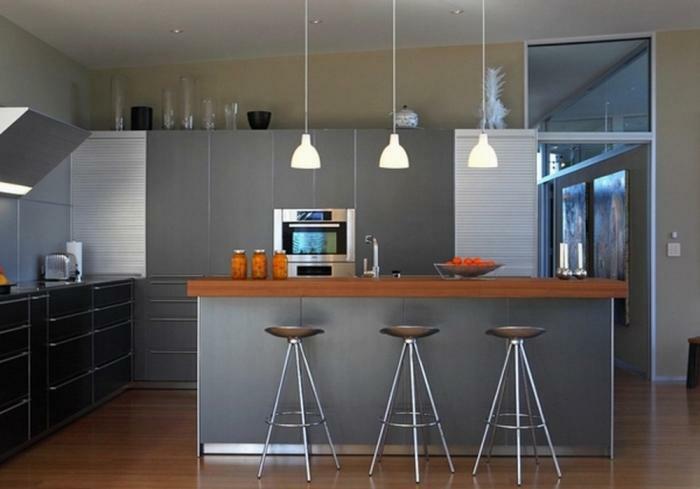 To inspire you and encourage you to choose gray for your own kitchen, we have collected a showcase of 15 incredible gray kitchen designs in various different styles, so feel free to check them out and to steal some of the ideas if you like. So read on and enjoy! 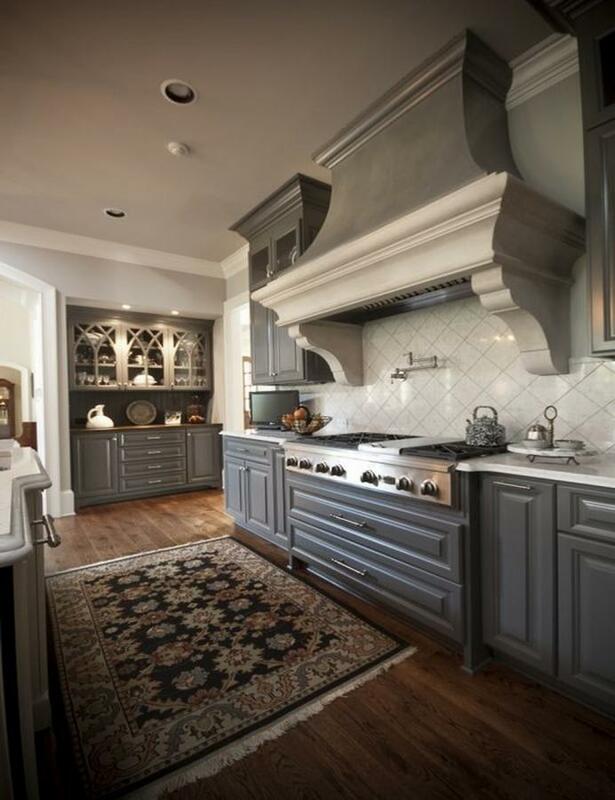 This lovely traditional kitchen design is complemented with various different gray shades that provide it with both crisp and vibrant appearance. 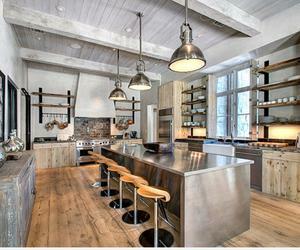 The parquet wooden floor as an amazing contrast brings warmth to the spot. 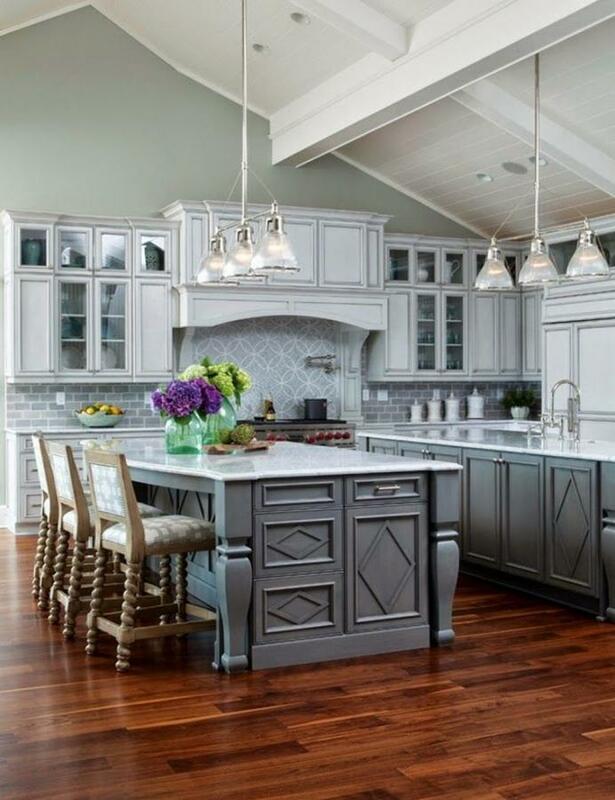 This distinctive shade of gray on the kitchen cabinets, called Gray Matters is a nice mid shade, that has a hint of both warm and cool, so it pairs remarkably well with various different hues, like for example the deep dark brown kitchen island, or the warm wooden floor. 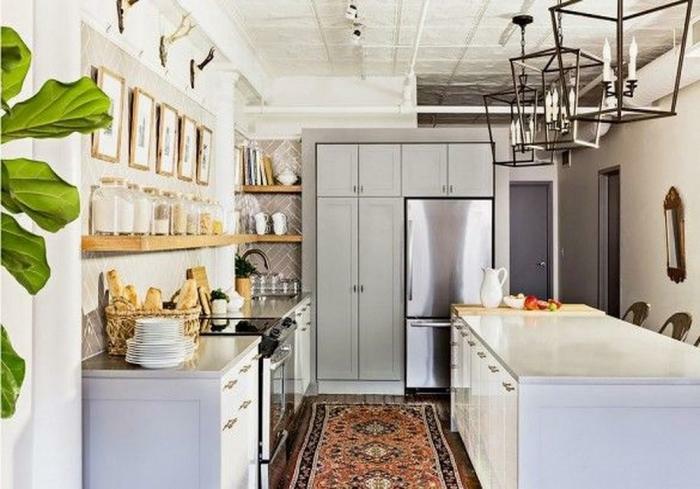 The charm and coziness in this gray kitchen is due to the warm beige color that complements the gray cabinets and utilities, and also the profound wooden floor that adds to the overall warmth. Do not forget the Mademoiselle chairs who perk up the spot and introduce some vivacious spirit in here. 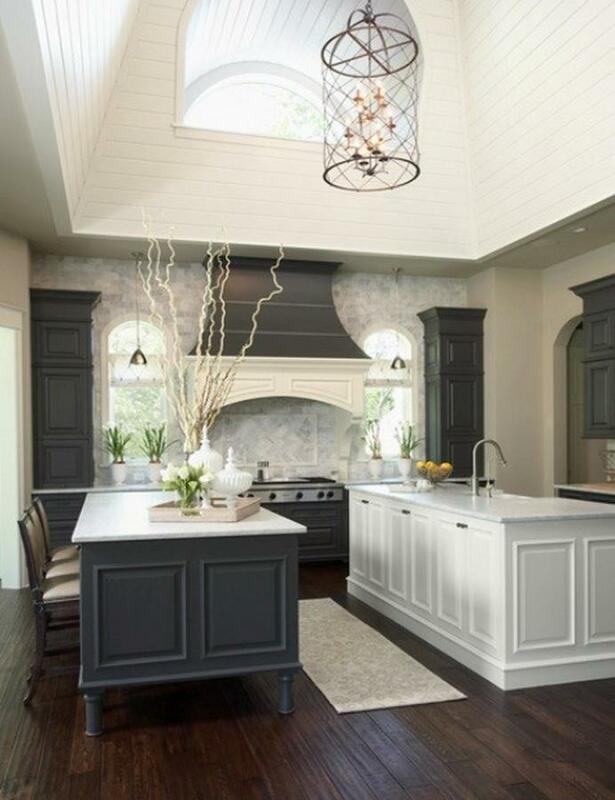 We are in love with the ceiling in this kitchen! 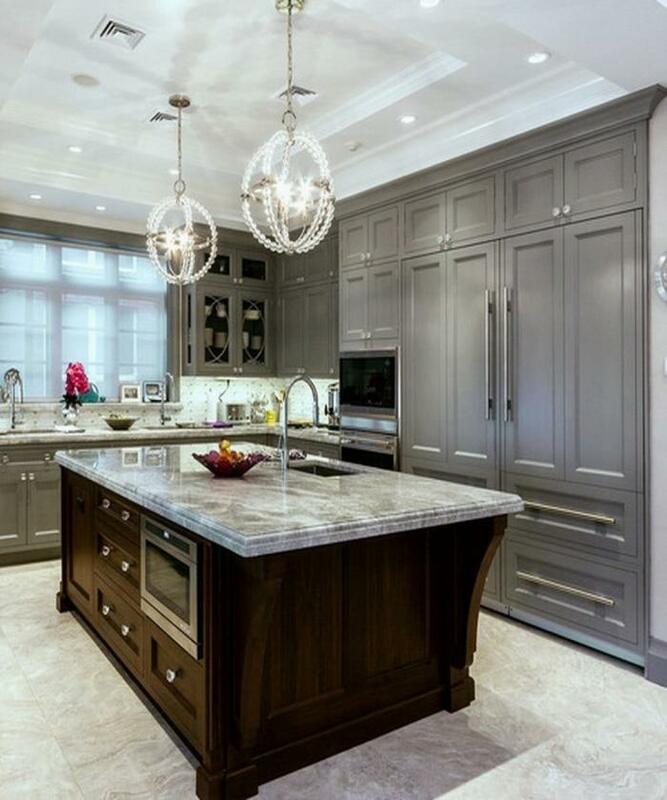 On the other hand, the dark gray counters bring elegance to the space, and the creamy white parts add to the fresh and airy look of it. 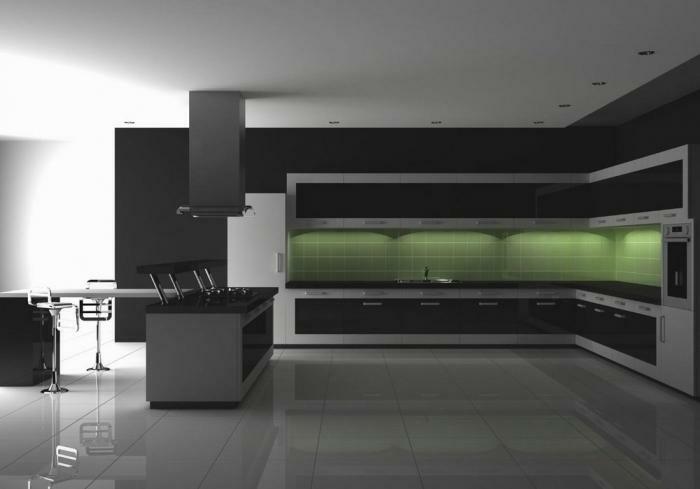 The minimalist design of this gray and black kitchen displays the ultimate super modern look of today’s kitchen. 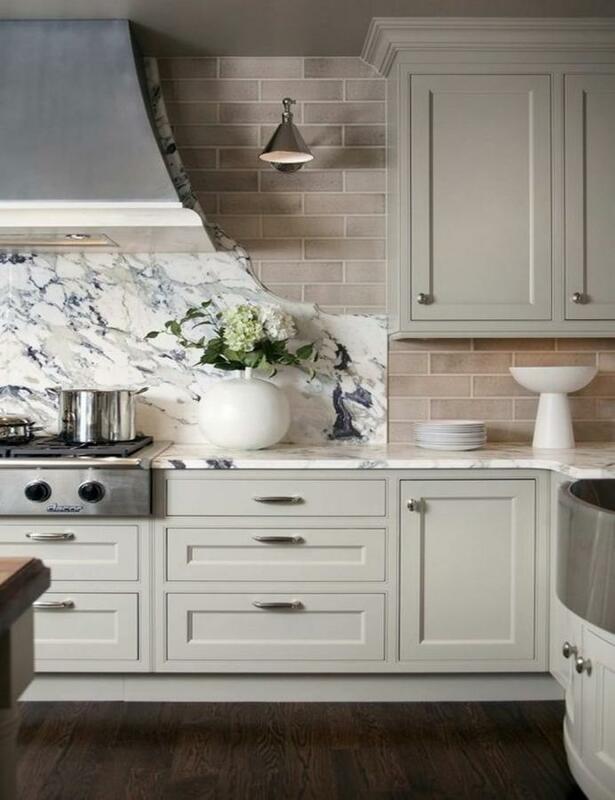 What we like the most in here is the calm green back splash that steals the attention and livens up the space in a very profound way. 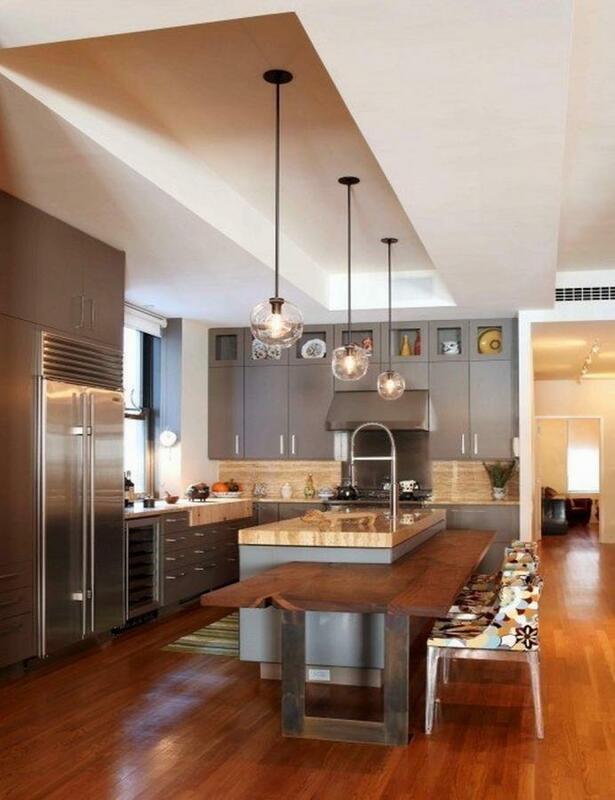 0 Response to "15 Neutral Gray Kitchen Design Ideas to Inspire"